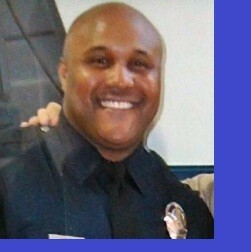 A rampage is underway in Los Angeles after former LAPD officer Christopher Jordan Dorner shot 2 people Sunday and today shot 3 police officers, killing one. He’s still on the loose as of this writing and promising to take out more. He left behind a monster manifesto attempting to justify what he’s doing. He singles out the police officers who he feels have wronged him and gives shout outs and shout downs to people like Charlie Sheen (you’re effin awesome), Jeffrey Toobin and David Gergen (you are political geniuses and modern scholars), and Fareed Zakaria (Revoke [his]citizenship and deport him), and many more. This started out bad and looks like it’s going to get much worse. Below is the full unedited manifesto. WARNING: Very strong language. Posted on February 7, 2013, in Christopher Jordan Dorner, LAPD and tagged Christopher Jordan Dorner. Bookmark the permalink. 1 Comment. Wow! You covered it all…. great work. I agree with your summation, accountability is the answer to crime and corruption in law enforcement, responsibility for parents, teachers and community leaders. God bless you for your stand against criminality.